This Physiotherapist Contiform review helps you decide whether or not this product will solve your bladder problem. 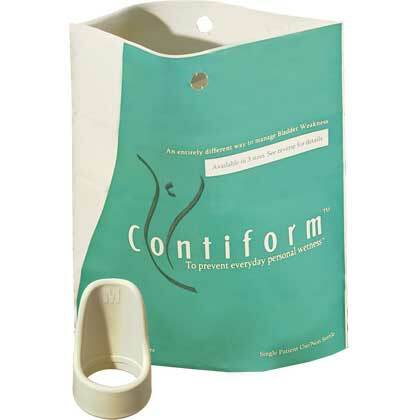 Contiform is a revolutionary product designed by an Australian gynaecologist for overcoming female bladder problems, specifically stress urinary incontinence (SUI). SUI involves wetness with coughing, sneezing, laughing or with exercise. Who it is suited to using Contiform? How to fit the right size Contiform? Who should avoid using Contiform? How long does Contiform last? Contiform supports the urethra and in doing so, stops urine escaping from the bladder with everyday activity or exercise. It provides additional bladder support where it may be lacking after childbirth, menopause and especially with weak pelvic floor muscles. Who is Suited to Using Contiform? 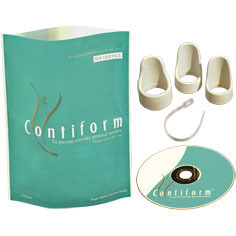 Contiform is available in a starter New User Kit (right) which provides the first time user with all three sizes to trial – Small, Medium and Large in addition to an instructional DVD for use. The manufacturer recommends starting with Medium size which should feel comfortable and stop unwanted bladder leakage. If this size is not correct, then try the Small or Large as required. Once women have determined their correct size Contiform they purchase individual replacement units in their known size as required. These are also provided with an instructional brochure, a Contiform device and a ribbon for removing Contiform. Replacement units are usually an affordable option to pads. Fifty two women age 41-54 years participated in this study which involved fitting them initially with a size Medium Contiform device. Thirty seven women completed this study. There were no reports of complaints regarding vaginal discharge, pain/discomfort, urgency, bowel symptoms or blood staining at 4 weeks follow up visit. Contiform is TGA approved (Therapeutic Goods Administration). It should be used according to the instructions provided. When to Check With your Health Professional? have a diagnosed condition affecting your bladder. For first time users, Contiform recommend that you are fitted by a professional continence nurse to ensure it is inserted correctly. Physiotherapists trained in pelvic floor rehabilitation are also able to assist you with fitting Contiform for Australian residents. Who is Contiform Not Suited To? This product gives the user flexibility to use as she chooses – all day or just during exercise or activities that cause bladder problems. Contiform provide instructions for how to insert, remove and care for the device. Contiform advise removing this device at least every 24 hours, before going to sleep, and cleaning with warm water and unperfumed soap. It should then be dried thoroughly before reusing. How Long Should Contiform Last? Basically it depends on how often you use it. Contiform state that with everyday use, it should last 45-60 days. With less frequent use, Contiform should last longer making this product more economical. The key is monitoring that fracture lines do not appear in the rubber, indicating a new device should be purchased. This professional Contiform review has been intended to provide information for women that they may not be able to access readily. For further information about Contiform, contact us or speak with your medical practitioner or Pelvic Floor Physiotherapist. 1 “Update: The Contiform intravaginal device in four sizes for treatment of stress incontinence” by W. A. Allen, H. Leek, A. Izurieta, K. H. Moore, Int Urogynecol J (2008) 19:757-761. 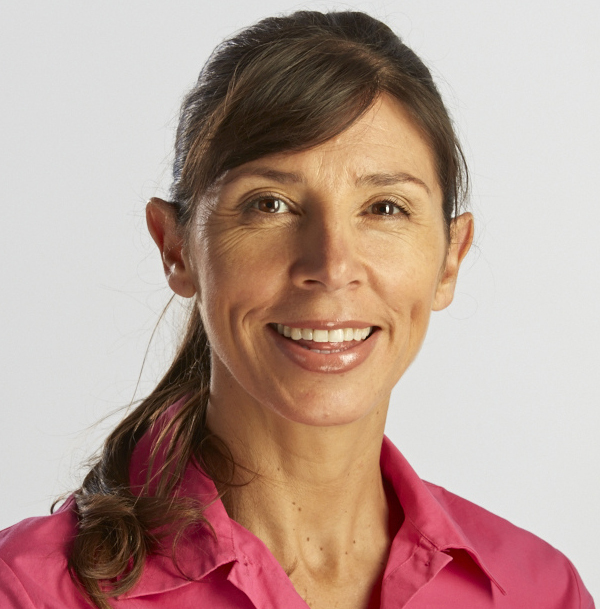 Learn how to exercise and avoid exercises that overload the pelvic floor causing pelvic floor problems. Inside Out book and DVD is a complete exercise solution for women seeking to exercise safely and protect their pelvic floor. Is there any purpose or usefulness in puchasing something like this when I already have a fitted pessary? Although I kind of think that this would work better, because I never leak while wearing a tampon and this fits more like a tampon. I wear a ring pessary that does not stop my leakage completely, but rather just holds up my prolapsed bladder. I was happy to see your question Hilary as I am in the identical situation and wondering the same thing. Hopefully someone provides some feedback/suggestions. There is a pessary designed to do both jobs at once, it is a knob pessary which holds up the prolapse and the knob provides urethral compression/support (similar to the way the Contiform works). Regarding using both together, there is no information available on this and I would suggest checking with your gynaecologist. It may well depend on the type of pessary you are using also. I hope this helps a little, it could be worth asking about a knob pessary when you next see your gynaecologist.